Recommended for preparation of foals and yearlings and maintenance of horses, in all disciplines, in moderate to intensive work. 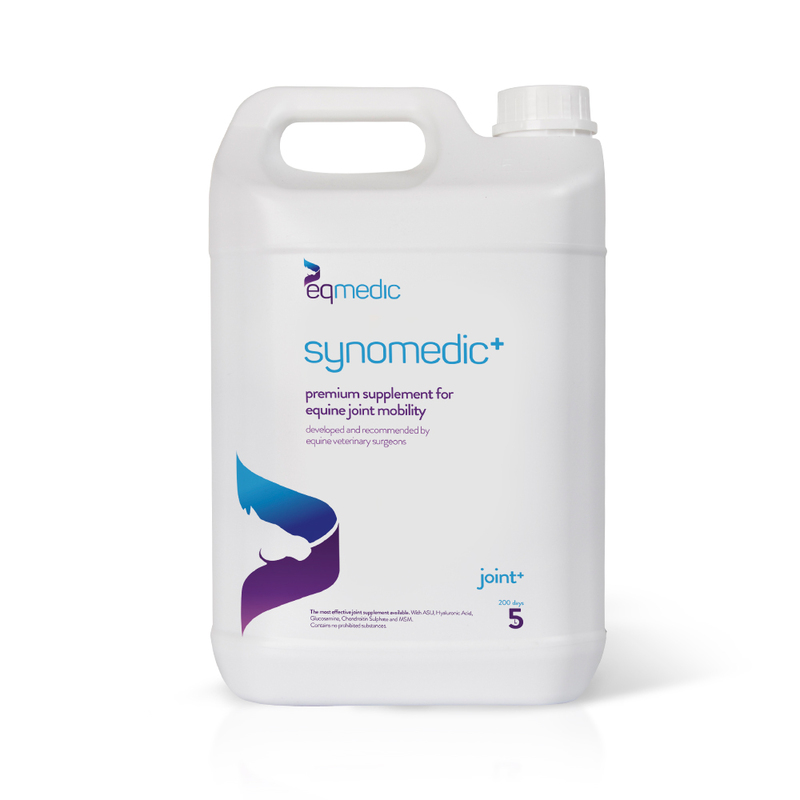 Synomedic+ helps to relieve articular pain, reduce cartilage erosion and increase cartilage elasticity. It contains ASU (Avocado Soyabean Unsaponifiables), Hyaluronic acid, MSM (Methyl Sulfonyl Methane), Marine Glucosamine and Chondroitin Sulphates. ASU’s are used in the human management and prevention of osteoarthritis (OA). They are a natural, slow-acting agent, thought to not just address acute joint pain, but actively prevent progression of osteoarthritic symptoms. This product does not contain prohibited substances and does not contravene any rules of BHA or FEI but has not been tested in a FEI lab. Available in a 5L bottle. At maintenance dose, a bottle will last 200 days.